However, many of the most promising drone-use cases require the ability to fly long distances beyond the range of human sight. Whether drones are being used to inspect oil and gas and other critical infrastructure in remote locations, respond to natural disasters like hurricanes, or deliver packages, companies need to be able to fly drones beyond visual line of sight (BVLOS) of the pilot. However, under the current regulatory framework for commercial drone operations in the United States (Part 107), drone flights BVLOS of the pilot are prohibited without an approval from the Federal Aviation Administration (FAA), and those approvals often have conditions that can limit their commercial usefulness. The FAA recently issued Avitas Systems, a GE venture, a precedent-setting exemption that opens the door to true commercial BVLOS operations. The exemption allows Avitas Systems to operate its UAS BVLOS of the pilot in Texas’ Permian Basin for critical infrastructure inspections and the permission granted to them is unique in that it does not require the use of visual observers. As of October 25, the FAA has issued 2,174 Part 107 waivers – but only 24 of them (or .011 percent) are BVLOS waivers (with a few additional BVLOS exemptions that have been approved). While the FAA and industry have referred to these previously granted approvals as “BVLOS,” all of these approvals required the use of more visual observers to constantly visually scan the airspace with their eyes to identify other aircraft that could create a collision hazard with the drone. This method is limited in its utility; it requires the use of more personnel on site, which can be expensive and impractical for many real-world drone operations that require long-range flights, often in rural remote areas. Instead of having to rely on human eyes as the primary means of deconfliction with other aircraft, the FAA has authorized Avitas Systems to use a ground-based radar system to detect other aircraft flying at low altitudes near the area of operation. This is the first FAA-approved use of radar for civil BVLOS operations. 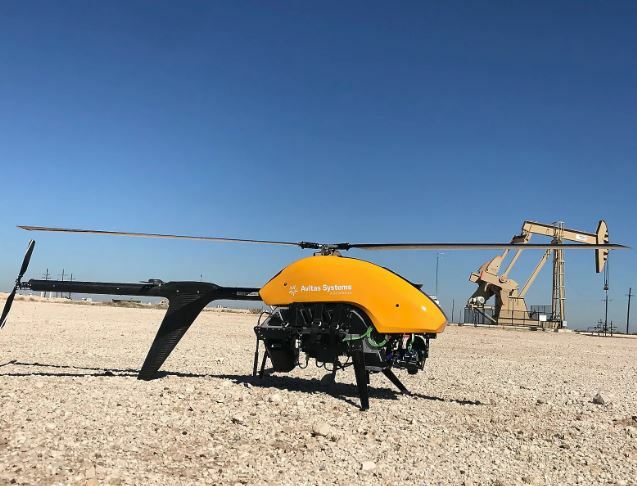 The ability to operate in the Permian Basin is hugely important for Avitas Systems, and the BVLOS permission is just as significant for the commercial drone industry at large. Avitas Systems’ new permission represents a very important development for oil and gas safety, and for the commercial drone industry at large. The FAA’s willingness to approve BVLOS operations that rely on technology mitigations, like ground-based radar, as opposed to impractical operational mitigations like visual observers, is a strong step in the right direction as we seek to bring the safety and efficiency benefits of commercial drones to the American people. Allowing BVLOS operations is also a boon to transportation safety in the Permian Basin. According to 2018 statistics published by the Texas Department of Transportation, a vehicular fatality occurred every 37 hours across 16 counties in the Permian Basin for the first four months of 2018. UAS technology is valuable in helping address these numbers by reducing the number of hours that inspectors travel on a regular basis to perform surveillance activities in remote areas. The use of UAS technology also facilitates the fulfillment of critical safety and environmental goals of the oil and gas industry and government agencies. Avitas Systems used AiRXOS’ waiver and exemption service for system design, safety mitigation, testing, analysis, and validation support in obtaining the BVLOS permission. Avitas Systems was also supported by AiRXOS and Shell Air Transport – Americas. Partner Lisa Ellman and Senior Associate Matthew J. Clark of Hogan Lovells assisted the team through the FAA exemption process. Drones are the future of transportation and information technology. Recent innovations have transformed what used to be considered toys into powerful tools that provide substantial safety and efficiency benefits to commercial industry, educational institutions, humanitarian NGOs, and the public. Once properly enabled, the integration of drones into our nation’s National Airspace System will save countless lives and have a significant economic impact here in the United States. However, many of the safety and efficiency benefits of drones require the ability to operate over people. To respond to disasters, or deliver packages, or gather the news, companies need to be able to fly in urban and suburban environments, where people are. The current regulatory framework does not allow for flights over people without a Part 107 Waiver from the FAA. But according to one recent study of FAA Part 107 waivers granted and denied to-date, a waiver to operate over people is the most difficult waiver to receive from the FAA. This makes the new and precedent-setting FAA Part 107 Waiver issued to CNN for operations over people all the more important. The FAA recently issued the first ever Part 107 Waiver authorizing drone operations over people for closed-set filming to CNN. This is a significant success for not just film and media companies, but for large swaths of the commercial drone industry. To understand the significance of the new operations over people waiver issued to CNN, some background on Part 107, the rule broadly authorizing commercial operations with small UAS (drones), and the FAA’s history of approving closed-set filming drone operations under the “Section 333” process is necessary. Building off its historical practice of issuing waivers to authorize helicopter operations at low altitudes over people for closed-set motion picture and television filming, in September 2014 the FAA issued the first “Section 333” exemptions to six different Hollywood film companies to allow drone flights over people on a movie set. As part of its review process, the FAA correctly recognized that operations over people who are involved with and have consented to an operation should be treated differently than operations over members of the public, and that different policy frameworks should govern each. Notably, “participants” in the Section 333 closed-set filming context were defined as people associated with the filming production who acknowledged and accepted the risks associated with the drone operations. This definition was broader than the flightcrew only. By the time Part 107 became effective in August 2016, the FAA had issued over 500 of these closed-set filming exemptions. There were no known safety incidents. These exemptions had a limited duration of two years. Implemented in August 2016, Part 107 was an important step forward for the commercial UAS industry. However, Part 107 limited operations in critical ways. Significantly, the rule prohibited flights directly over people other than the flightcrew. “Participants” was defined narrowly under Part 107, and unlike the Section 333 context, did not include people who acknowledged and accepted the risks associated with the drone operations. Under this narrow definition of a “participant,” personnel engaged in activities related to what the drone is being used for are nonparticipants, just as if they were any other member of the general public. This prohibition has created significant obstacles for commercial drone operators that want to use drones near, around, and over people, as a waiver would therefore be necessary to fly a drone over participants other than the flightcrew. Meanwhile, as Part 107 took effect, the FAA phased out Section 333 exemptions. So the question then became whether the Part 107 Waiver process would provide companies with a viable path forward for conducting operations over participants other than the flightcrew. Until now, there did not appear to be a viable path forward. In reviewing waiver applications, the FAA for months utilized only very conservative thresholds for assessing the risks associated with drone operations over people. Consistent with the framework proposed by the Micro-UAS Aviation Rulemaking Committee (Micro-UAS ARC) for flights over people, the FAA’s review process focused solely (or almost entirely) on kinetic energy at impact. In other words, the FAA asked only: How hard will a drone hit someone if it falls from the sky? While this kinetic injury-based approach to assessing risk has value in simplicity, it fails to account for the full scope of operational and technical mitigations adopted by many applicants to help ensure safety. Moreover, a kinetic injury-based approach will only work if the thresholds adopted are reasonable. As we previously blogged about here, even the FAA’s own commissioned report on UAS human collision hazards suggests that previously considered thresholds were too conservative and did not accurately reflect the risks to a person of being struck by a falling drone. The FAA took a critical step forward with its issuance of CNN’s new Part 107 Waiver. On the surface, the waiver is important for the commercial drone industry because it is the first waiver authorizing drone operations over people for closed-set filming. But its real significance goes deeper: With this new waiver, the FAA has once again recognized (correctly) that different policy frameworks should govern operations over people who are involved with the work being performed and have consented to the risks of drone overflight, versus operations over general members of the public. Unlike prior FAA Waivers issued for operations over people, the FAA did not look solely to the kinetic energy of a falling drone for its risk assessment. 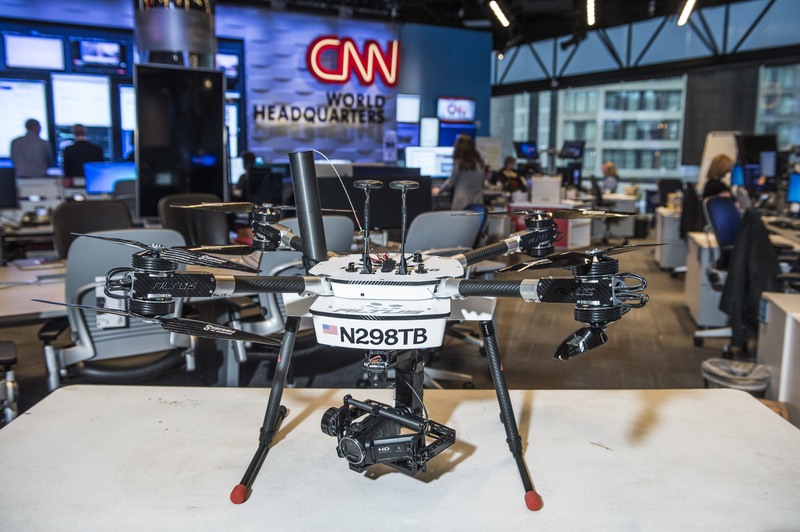 The waiver authorizes CNN to operate any drone weighing less than 55 pounds over people with no altitude restrictions (beyond those that apply generally to all Part 107 operations). This is a big deal because it sets a precedent for not just film and media companies, but for other industries that also need to operate over people. The authority that CNN has to fly over news broadcasters on a film set could apply just as equally to flights over workers on a construction site or plant personnel at a critical infrastructure facility. We should all be thankful for this step forward for the commercial drone industry. The new CNN waiver marks a common sense step forward as the FAA seeks to allow safe and expanded drone operations over people. We hope that broad authorization in the form of a reasonably-crafted “operations over people” rulemaking will come next. For additional information, see our press release on CNN’s new Waiver here. In the last few weeks, both houses of Congress have released draft FAA Reauthorization bills to continue FAA funding which runs out this fall. While the House bill’s proposal to privatize air traffic control in the United States has garnered the most attention, both the House and Senate bills contain lengthy and significant legislative language that could have a dramatic effect on commercial and hobbyist drone operations in the United States. Below is a brief summary of the main UAS provisions in both the House and Senate version of the bill. We are closely tracking this legislation and will keep readers apprised of updates as they occur. UAS Traffic Management (UTM) System: Directs the FAA to initiate rulemaking within 18 months to establish procedures for issuing air navigation facility certificate to operators of low-altitude UTM systems. Similar to the “Section 333” process in the FAA Modernization and Reform Act of 2012, the bill directs the FAA to consider whether UTM systems posing the least amount of risk to the National Airspace System or the public could safely operate now, and if so, to establish requirements for their safe operation in the National Airspace System. Risk-Based Permitting Process: Establishes a risk-based permitting process to authorize UAS operations that meet certain safety standards. This section of the bill is a holdover from the House’s proposed Bill last year and was obviously drafted prior to the enactment of the FAA’s Small UAS Rule (Part 107). Small UAS Air Carrier Certificate: Establishes an air carrier certificate for operators of small UAS for package delivery. Beyond Visual Line of Sight (BVLOS) Operations at FAA Test Sites: Extends the FAA test site program and directs the FAA to permit and encourage BVLOS flights of UAS equipped with sense-and-avoid technology at test sites. UAS Privacy Review: Requires a DOT study on the privacy implications of UAS operations. UAS Registration: Directs the DOT Inspector General to assess the FAA’s small UAS registration system and requires FAA to develop and track metrics to assess compliance with and effectiveness of the system. Study the Role of State and Local Governments: Directs the DOT Inspector General to study the potential roles of state and local governments in the regulation and oversight of low-altitude small UAS operations. Pay-to-Play: Requires the Comptroller General to study appropriate fee mechanisms to recover the costs of regulation and oversight of UAS and the provision of air navigation services to UAS. New Database of Commercial and Governmental UAS Operators: Requires the FAA to establish a public database of public and civil (commercial) UAS operators. The database would include the owner/operator’s name, email address, phone number and UAS registration number. Safety Design Standards and New Requirements for UAS Manufacturers: Directs FAA to charter an aviation rulemaking committee (ARC) to develop design and production standards (consensus safety standards) for small UAS sold in the United States. In order to sell most small UAS in the U.S. market, manufacturers would be required to certify to the FAA that the small UAS meets the consensus safety standards. Review of Privacy Issues Associated with UAS: Requires the Comptroller General of the United States to conduct and submit to the appropriate committees of Congress a review of the privacy issues and concerns associated with the operation of UAS. UAS Test Sites: Continues test site funding through September 30, 2021. UAS Safety Enforcement: Requires the FAA to establish a program to utilize available remote detection and identification technologies for safety oversight, including enforcement actions against operators of UAS that are not in compliance with applicable federal laws and regulations. Airport Hazard Mitigation and Enforcement: Directs the FAA to work with DoD and DHS to develop, test and deploy counter-UAS systems to mitigate threats from rogue UAS interfering with safe airport operations. Package Delivery: Requires the FAA to issue a final rule authorizing the carriage of property by small UAS for compensation or hire within 1 year. Collegiate Training Initiative: Establishes a Collegiate Training Initiative program to make agreements with institutions of higher education for preparing students for careers involving UAS. Improvements to the Part 107 Waiver Process: Directs the FAA to: (1) publish a representative sampling of safety justifications offered by Part 107 waiver/authorization applicants for each regulation waived or class of airspace authorized and; (2) update the online waiver/authorization portal to provide real time confirmation that an application has been filed and allow applicants to review the status of the application. Study the Role of Federal, State and Local Governments in Regulating UAS: Directs the U.S. Comptroller General to conduct a study and submit a report to Congress on the relative roles of the Federal Government and State and local governments in regulating the national airspace system, including UAS operations. New Criminal Offenses for Unsafe UAS Operations: Establishes criminal penalties for UAS operators that knowingly and willfully interfere with manned aircraft operations or fly within a runway exclusion zone of an airport. In Europe, the United States and countries around the world, drone technology is advancing rapidly, and what used to be considered toys are quickly becoming powerful commercial tools that can provide enormous benefits in terms of safety and efficiency. However, before some of the most innovative drone applications can become reality, including things like package delivery and long-range infrastructure inspections, most countries, particularly those with more congested airspace, will need some form of a low-altitude traffic management system to ensure drones can avoid colliding with buildings, manned aircraft, or one another. Developing such a safety system will be critical to unlocking the most promising drone applications of the future. Last month the Single European Sky Air Traffic Management Research Joint Undertaking (“SESAR“), the organisation set up in 2007 to coordinate European research and development activities on air traffic management (“ATM“), unveiled its blueprint for automated air navigation technologies for low altitude drones operating in complex airspace. The proposal was first announced by Violeta Bulc, the European Commissioner for Transport, at a conference in Warsaw last year. The Commission hopes that “U Space” will provide similar functions to those provided by the Unmanned Aircraft Systems (“UAS” or drone) Traffic Management (“UTM”) system being developed by the National Aeronautics and Space Administration (“NASA”), the Federal Aviation Administration (“FAA”) and global industry partners in the United States for enabling safe, efficient low-altitude drone operations. What is U-Space, and what does SESAR’s blueprint mean for drone users? SESAR expects that “U Space” will initially provide a system for the e-registration and e-identification of drones. It also hopes that “U Space” technology will allow certain restricted sites to be geo-fenced by air service navigation providers. These proposals are not new. On 12 May 2017 the European Aviation Safety Agency (“EASA“) opened its formal consultation into regulatory changes requiring certain UAS to be registered and licensed. You can read our previous blog on that consultation (and the proposed regulatory changes) here. In the future, SESAR intends for “U Space” to provide flight planning and approval services, drone tracking and “conflict detection” functions as well a means of interfacing UAS traffic management with conventional air traffic control systems. SESAR hopes that “U Space” when fully operational will “encourage innovation, support the development of new businesses and facilitate the overall growth of the European drone services market.” It also expects that “U Space” technology will allow a number of drone operations that are currently restricted to be liberalised. When will “U Space” be implemented? Phase 4: fully integrating drone air traffic control with manned aviation. The European Commission and SESAR have made clear that they expect “U Space” Phase 1 by the end of 2019; and SESAR has suggested that “pre-operational […] demonstrations” of Phase 2 will also be available by that time. Neither the European Commission nor SESAR have indicated when they expect Phases 3 and 4 to become fully operational.